As most readers will know, blogging is a big part of my Grade Two classroom. Over the past few years I have worked out strategies and processes to make blogging work for my seven and eight year old students. While my students are young, I have found with explicit instructions, high expectations, clear routines, parent involvement and peer tutoring they can achieve amazing things with blogging and ICT. I have been asked a number of time whether blogging can work with students younger than Grade Two. The answer is yes. In my class we follow this process throughout the year, starting with students learning about quality commenting before moving on to posts and finally earning their own blog. While younger students might not move along this continuum as quickly, they too can do amazing things. There are so many students around the world as young as five who are gaining the benefits of being involved in educational blogging. I thought I would include links to just a few Prep (aka Kindergarten/Reception) and Grade One blogs but as you can see, this list is quite long and definitely not exhaustive! Learning Together – Mrs Kennedy’s Prep Class in Blackburn South Melbourne. Discovery Den – Miss W’s Prep Class in Melbourne. We Love Learning – Prep S’s Class in Blackburn South Melbourne. Room 2 Rockets – Miss Revell’s Grade One/Two class in New Zealand. A4 – Good Things Come in Small Packages – Prep/One class in Auckland, New Zealand. A3 – All Things Great and Small – Year One class in Auckland, New Zealand. Mrs Cassidy’s Classroom Blog – Mrs Cassidy’s Grade One class in Canada. Open the Door to B4 – Mrs McKenzie’s Prep/One/Two class in New Zealand. Grade 1B and 1C – Miss Hunichen and Mrs Hollands’ Grade One blog in New Gisborne, Victoria. Grade 1/2’s Epsom – Mrs Davey’s Grade One/Two class in Epsom, Victoria. Look What’s Happening in Room 102 – Mrs Lynch’s Grade One class in Quebec, Canada. Mrs W and Prep/One/Two @ Harston Primary – A class in Harston, Victoria. Prep Learning Unit – A Prep blog from Bellaire PS in Victoria. A Peek Inside – Mrs Dowling’s Prep/One blog in New South Wales. Miss Dunsiger’s Class – Links to Miss Dunsiger’s Grade One’s individual student blogs (2010). Trish’s Troops 1TD – Grade One class in Ballarat, Victoria. Getting parents involved – A blog is something that parents can sit down and comment on with their child at home. Blogs can create a bridge between home and school. There is numerous research which suggests that family participation in learning is one of the most accurate predictors of a child’s success in school and beyond. I have written more about getting parents involved in blogging here. Using lots of visuals and multimedia – Emergent readers can connect and contribute to the blog with voice recordings, videos, slideshows, VoiceThreads etc. Having student quotes in posts (typed by the teacher) – These comments are colour coded so beginner readers know which colour comment is theirs when they go home and show their parents. The example below is from the Prep Discovery Den blog. 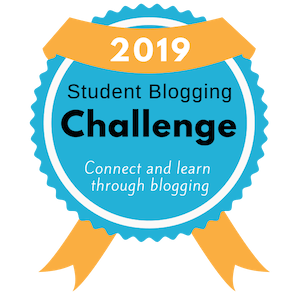 What other tips do you have for blogging with very young students? Very eye-opening. I especially appreciate the graphic organizer showing your process. My goal is to get blogging off the ground early with my third graders this year. @ Rand – good luck getting your blog off the ground! Thanks for including my blog in this wonderful post of yours! I teach a Grade 1/2 class in Ancaster, Ontario, Canada, and I definitely believe in blogging with my students. One thing that I learned from Kathy Cassidy is to include an editor’s note in published blog posts. This way, if there are still spelling or grammatical errors, others can still read the blog posts and respond to them. I also find that my students learn about conventional spelling by seeing this note and seeing what I’ve written. This helps them take ownership over learning the correct spelling, punctuation, grammar, etc. At this young age, there are going to be certain spelling and grammatical errors anyway, and I find that just focusing on conventions, sometimes limits the students as they attempt to develop their good ideas. I love these good ideas! Blogs also become a great portfolio of their work throughout the year, and this is wonderful too! As you said before, with high expectations and some direct teaching time, all students can blog! Thanks for your support. Your work really inspires me so it is nice to hear from you! I love Kathy’s idea of adding an editor’s note. This seems like the perfect solution. Parents love to see a learning journal and what a fabulous thing for the students to reflect on. Thank you so much for your step by step process for blogging with young students. I truly appreciate you sharing this information. Thanks for your post on blogging with young students. I’ve recently begun a class blog with Year 1 students and already I’ve been amazed by the positives that I’ve seen. Each morning my class are excited to tell be they’ve visited the class blog overnight with parents or siblings – what an authentic way to get kids reading and writing at home! The step by step process you’ve outlined is helpful for plotting the way ahead. I’ve visited your class blog – promise to comment! – and now I think even I could manage HTML codes or Scratch. I’ve bookmarked both sites so hope to return regularly. Thanks for sharing. PS I recently followed a great Twitter – by ‘tweachers’ #1st chat – your post would be fantastic for that! Great to hear from you. I really enjoyed reading about the positives you have experienced from blogging with your Year 1 students. I have found, the more we blog, the more benefits we unravel! Feel free to pass the link of this post on if you do #1stchat again. Great idea! You’ve got me so excited! I work online with kids with reading issues of all kinds. It doesn’t come naturally to any of my kids. But you’re right. Invented spelling is a stage, and my kids aren’t yet past it, if they even have the wherewithal anymore to try writing. I’m going to figure out how to make a blog for us, and yet ensure that it is not threatening, it doesn’t expect perfection, and that anything they try is infinitely better than not trying at all. You’ve given me so much to think about! Thanks, and let me know if you have ANY suggestions at all. Do you work with any non-readers or seriously reluctant readers? And that’s not even including the kids who worry me most: the dyslexics who are older and far behind in school, the ones with serious reading disabilities (though I tend to think of it as abilities that are learned in a different way. I can’t say I work with any non-readers but like all classes, there are students who have some learning difficulties. As I mentioned in the post, I think voice recordings using tools like AudioBoo or VoiceThread and videos would work well for non readers/writers. Also I have enjoyed using Fotobabble with my students. This is a tool where you can narrate a photo (of their work or whatever). If you google the names, they should be easy enough to find. Good luck setting up your blog, take it slowly and let’s know how it goes. Thanks for including my blog Kathleen. I have been blogging for a year now and I think it is amazing! When I first started I spent a lot of time visiting blogs like yours for inspiration, ideas and support. Thank you for sharing so generously! The Preps love the blog and their parents also love to see what is happening in the classroom and have the opportunity to make a comment. Not only is a blog wonderful for developing reading and writing skills but also oral language. The children have become more confident expressing their discoveries, thoughts and reflections using tools such as Audiboo, Voicethread and videos. The opportunity to hear themselves back instantly and think about how they have orally presented their ideas is a very powerful learning experience. You are right – the possibilities and benefits are endless! Thanks for sharing the wonderful experience you have had blogging with your Prep students. Audioboo, VoiceThread and videos are all just wonderful tools that you seem to be using really well! Thank you for your excellent article. I learned about some early years blogs that are new to me. Next week, I am doing a presentation about blogging in the early years. I will refer the folks to this excellent resource. Another very insightful and inspiring post! This is something that I can take back to my team, and my school leaders, as something that we can aim for in the future. We started Prep classroom blogs at the start of Term 3, and at the moment they’re primarily for students and their parents – but I am hoping that next year we’ll be able to use them to make connections to other schools. At the moment our Grade 6 buddies and other teachers have been leaving us comments – which we respond to as a class, which gives us a great opportunity to compose messages. 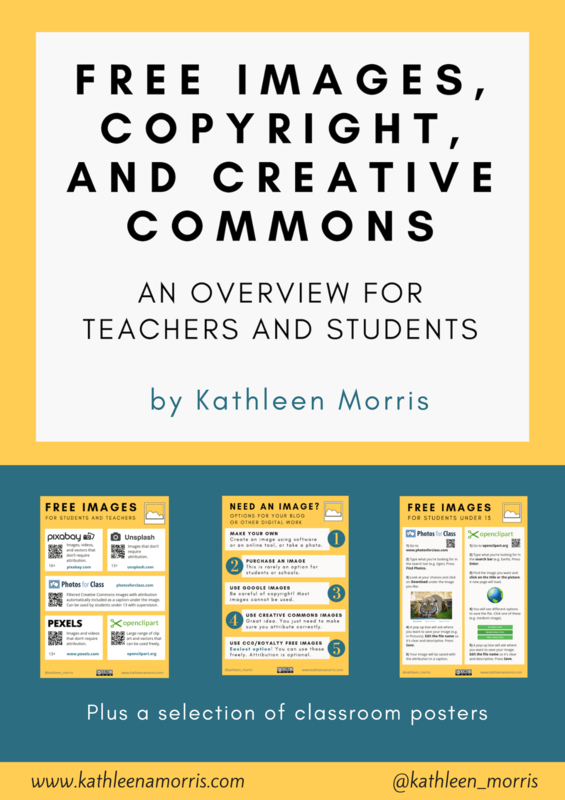 My students have especially loved when we’ve posted multimedia and visual content – such as our Vokis, word clouds and class-created books and slideshows! Thanks so much for your support. It’s sounds like you’re doing some great things with blogs right now and have some great plans for your progression. Love the multimedia you’re using too! Look forward to seeing where you go with blogging next year! Hi Kathleen. Great post as always. I’m trying to get our junior primary teachers blogging and I share your blog as an example of what you can do with younger students. We also like the Year 2 Smarties blog at http://thesmarties2.blogspot.com/. How great that your reception/one students have got into blogging. I’ll have to check that out sometime. Thank you Kathleen for forwarding this link. You do an amazing, empowering job. Wow. I can certainly relate to what you and Kelly do and hope to continue my journey asap. Thank you for your support. It was wonderful meeting you both. @ Andrea, thank you so much for your kind words! Kelly and I really appreciate your support. It was terrific to meet you too. I’m sure we’ll cross paths again! To support oral language and creativity in the curriculum. The parents in school are loving the blog and the children are loving it too…we often leave comments as a class and we have had children at home leaving comments for each other. You have obviously been blogging for a while and have a wide readership. I use a piece of technology in the classroom which is awesome for developing children’s oral language and literacy …it’s a simple recording device called a talking tin lid! A few schools in my network have become interested in these through my blog but it would be nice to spread the ideas to a wider audience …so I wondered what you could suggest. Should I use twitter (I never have) or could you create a link on your blog for teachers who might be interested in finding put about tin lids. I would love to get some feedback about our blog or tips from you, as you are clearly an expert in this area…and we are just beginning to explore this area. I hope to encourage the rest of our school to pick up with blogging as i see the benefits in giving a real life context for literacy and global connection for the children and families at school being so important. It sounds like you’re doing some terrific stuff with your preps. I checked out your blog too and it looks great. Just keep doing what you’re doing because I know your students and school community will be getting a lot out of it. This is the fourth year I have been blogging and in my first year of blogging my blog looked nothing like yours and very few comments were received. The Talking Tin Lid looks like a useful tool and I also like the price tag! I think Twitter is the way to go to spread the word. I use Twitter every day and it my biggest form of professional development. Basically can’t stress enough how useful it is! If you sign up let me know and I’ll help you get some followers etc. I started a blog a few months ago with my Grade 2/3 Class at Napoleons Primary School. I always find your posts so useful and informative, and your personal and class blog so inspiring! Thanks so much for your comment. I really appreciate your kind words. I checked out your class blog and it looks terrific! Love the header pic and you’ve got a fabulous range of posts. This is trivial but the default tagline under your blog title jumps out at me. In your dashboard if you go to settings – general – tagline you can personalise it (eg. We are a Grade 2/3 Class at Napoleons Primary School). Totally up to you though!